I’m a frugal guy. But, one of my tenets is that I do not sacrifice quality when making purchases for things I use consistently or that I want to own for a very, very long time. I touched on this in How To Become Financially Independent – Spend Less. Here’s what I think, boiled down: Buy quality stuff. Not too much. Make it last. You may say, “Well, I’d love to buy quality stuff but I’m paying off debt so I just buy whatever’s cheapest.” Okay, that makes sense. I do this too; your everyday dollars go farther when you opt for those cheaper Q-tips on the bottom shelf rather than the name brand. No problem. But I’m talking about the items you either use all the time or that you should own for years and years. Possibly a lifetime. How many of us go to visit a grandparent or elder and they have the same couch, the same dining room table, the same cast iron pots and pans and the same Hummel porcelain figurines they had 50 years ago? They bought quality stuff that lasted and we should too. Quality is usually more expensive. But just because something is more expensive doesn’t mean it’s quality. Find a good Quality To Price (QPR) ratio. It’s a fine line and you have to find the right balance. For instance, I like to buy Restoration Hardware towels and Garnet Hill sheets. They are more expensive than towels and sheets at a Walmart but these towels and sheets will last after years of continuous use and look brand new as well, a good QPR. Walmart’s won’t. Plenty of people opt to buy cheap throwaway things. I’ll pick on furniture. Think of the college-aged and young professionals who furnish their whole apartment from Ikea. There’s nothing wrong with that. But since they move once a year, they drag all that Swedish veneered particle board to the curb for the hippies. When they settle into their next place they make an Ikea trip for all new furnishings (and to down some super cheap meatballs, no doubt). Ikea has become throwaway furniture. And not only is that bad for the environment, it’s bad for your wallet when you do it year after year. When I moved from an apartment into my condo I decided to upgrade my furnishings. My apartment was furnished solely by Ikea but instead of tossing it I sold it all on Craigslist – my couch, bar stools, lamps, arm chairs, bookcases, a night stand, a bed frame and a coffee table. I moved what little I had into my condo and furnished it with pieces from Room & Board. I plan on having this furniture close to forever. Was it expensive? Sure. Quality? Absolutely. Classic and timeless? Yes. But not so expensive as to be considered frivolous. A great QPR. Plus, a company like Room & Board will stand behind their products! In fact they did when I had a problem with a rug. They took it back no questions. Whenever I have had a problem with the quality or workmanship of an item from a respectable company, they have always stood behind it by offering a replacement or fixing the issue. Try doing that with some Chinese no-name product! I have a fancy pants car and I hardly wear fancy pants. Go figure. I plan on keeping this vehicle until the rust barely holds the 4 wheels together. But, to push that time into the future as far as possible I needed to take care of some small rust spots before they festered into a larger rust problem. I called an independent body shop in town and they quoted me about $100 per spot to grind them out and prime them but not even paint them. Not the end of the world by any means because they’re in the door sills but I’m trying to make this car last, so I want it to look good too. Then I asked my friend Google about rust on an E46 BMW. 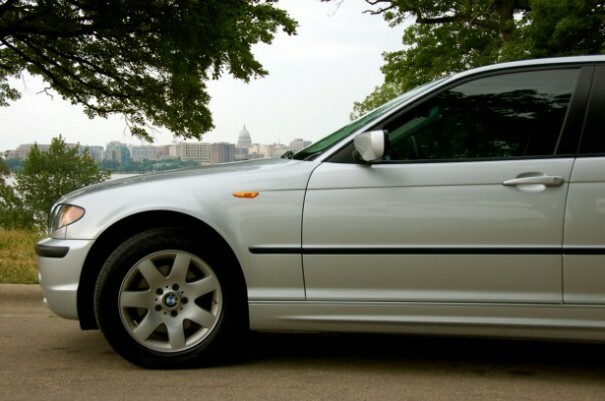 I ran across some forums where BMW owners were able to get BMW North America to fix the rust spots post-warranty and for free! I am post-warranty and I like free so I called up the local dealership, told them the situation and asked if BMW NA would cover it. They told me to take it to their body shop for a quote, they would forward it on to BMW NA and I would hear back. I did and sure enough BMW NA agreed to foot the $739.34 bill. Awesome! Total cost for repair: $0. Back in 2007 I decided to invest in some classy dinnerware. 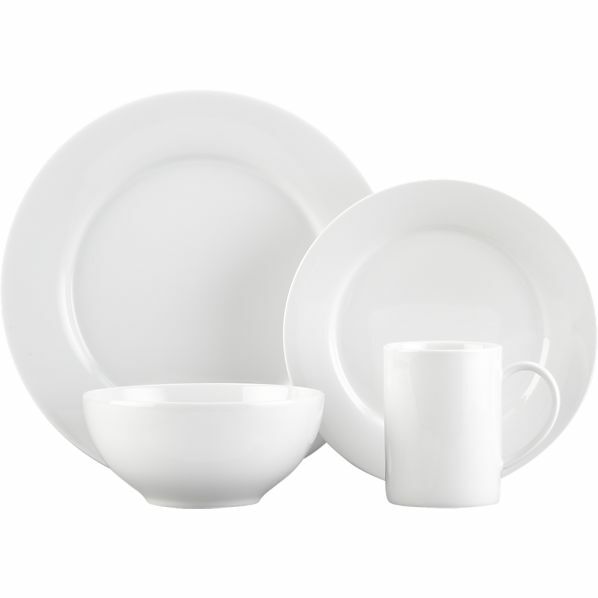 Crisp white bowls, plates and coffee cups. The Aspen series if you must know. These are things I use every single day and again I want to have for as long as humanly possible. One day while unloading the dishwasher I reach for one of my cereal bowls and realize it is cracked into two pieces. A real humpty dumpty of an experience. I called up Crate & Barrel and talked to a wonderful lady and shared my experience. She can’t find my order number anymore because they changed systems but apologizes and out of good will sends me a replacement bowl free of charge! Total cost for replacement: $0. 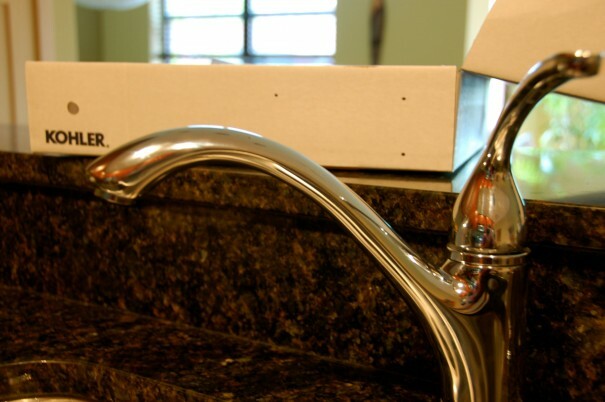 A leaking kitchen faucet. No good. As someone who likes to fix things and DIY, rather than pay a plumber $100/hour, I hit up by friend Google again. I start reading and learning about faucets. Watching YouTube videos on faucet repair. Interesting stuff for Mr. Everyday Dollar. I conclude that I need to replace the O-rings to fix the leak. I can go to the hardware store to get these. But wait, I find that Kohler will apparently send a free faucet repair kit that includes the O-rings I need. I fill out an online form on their website and within a few days I have the kit. I begin the repair which looks straight forward – take the handle off, take the spout off the body and replace the O-rings. Put it back together. Like most home repairs it doesn’t go that easy. For the life of me I can’t get the spout off the body. I twist and turn it while pulling up. It comes up a quarter of an inch. I try over and over again. I go as far as standing on my counter for leverage while I twist and turn the spout. It’s not budging. I figure an O-ring is preventing the spout from coming off, mineral deposits have seized it up, or a combination of the two. I try the next day. Same thing. Then I remember the definition of insanity – doing the same thing over and over again and expecting different results. I better stop! I call Kohler for troubleshooting help. I get a nice lady on the phone and talked her through the problem I encountered. She says she is sorry to hear the trouble I’m having and she’ll ship out a whole new faucet! For free! I get it in the mail, replace the entire faucet with the new one and now have a non-leaking faucet. Additional benefit: I know way more about faucet repair for the future! I bought a nice The North Face shell about 10 years ago. I use it in the fall and winter or when it rains. Think hiking, cross country skiing, picking apples, walking in the rain or snow. I noticed that some of the interior stitching holding the shell to the interior mesh was coming undone. Now I could have 1) got rid of it and bought a new one 2) wore it as is 3) repaired it myself. I was actually leaning towards number 1 initially but then I realized The North Face has a lifetime warranty on their products. What was I thinking? 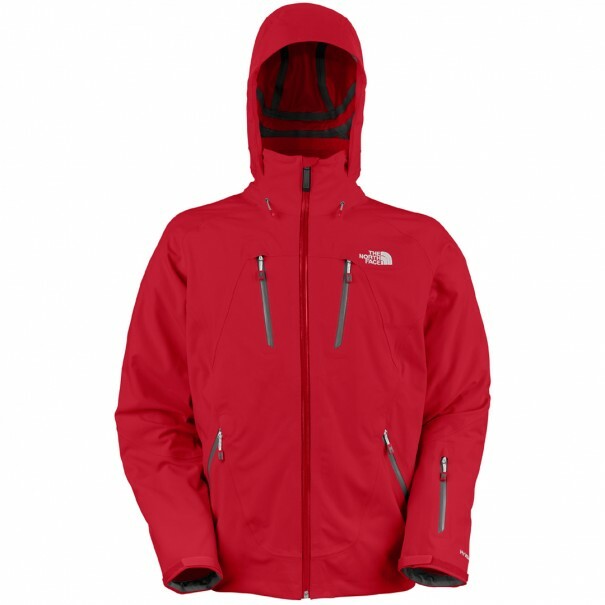 I took it into the local The North Face store and told them I’d like the stitching repaired. They said no problem! I filled out a form, they took the jacket and I was given a claim check. I was in and out in less than 5 minutes. They shipped it to their Warranty Department, fixed it, and shipped it directly back to me. I’m good to go for another 10 years! I like to workout. My favorite workout shorts are the Mojo from prAna because they are comfortable, lightweight, wicking, and have a long inseam for my long legs. I had a pair where the stitching started to come out. I can understand if after hard use and a lot of years a clothing item starts to break down. That is expected. So there’s an ethical line here – have you gotten reasonable use out of the product before it broke down or is there an issue with workmanship going on. With the shorts, I didn’t know. I called them up and explained the situation. They told me to send the shorts in and they would send me another pair free of charge. Awesome, they follow their “We Stand By Our Goods” mantra. 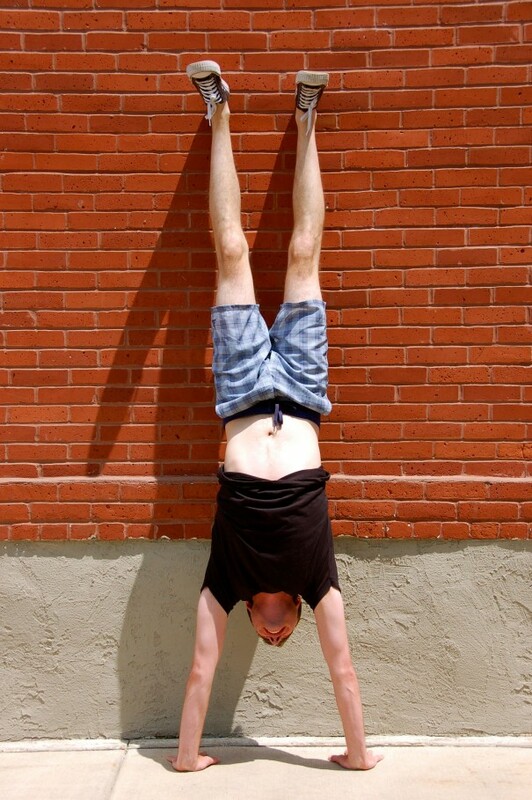 And because of that I will look to prAna for my future workout shorts. Total cost for replacement: about $3.00 for shipping.